It is with a heavy heart that we announce the passing of our dear friend and fellow Dixie Art Colony enthusiast Norma LaMae Forbes. 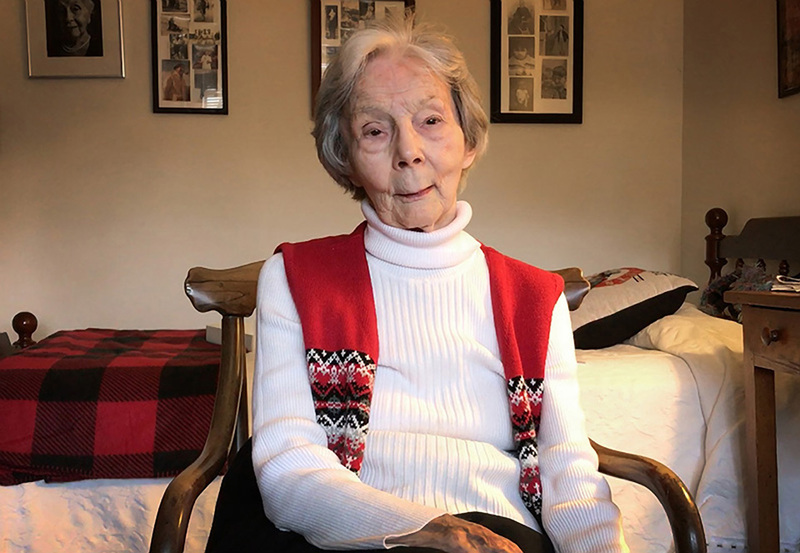 Norma passed away peacefully in her sleep in Asheville, North Carolina on Saturday, October 27, 2018, after living 99 years, 7 months and 23 days. 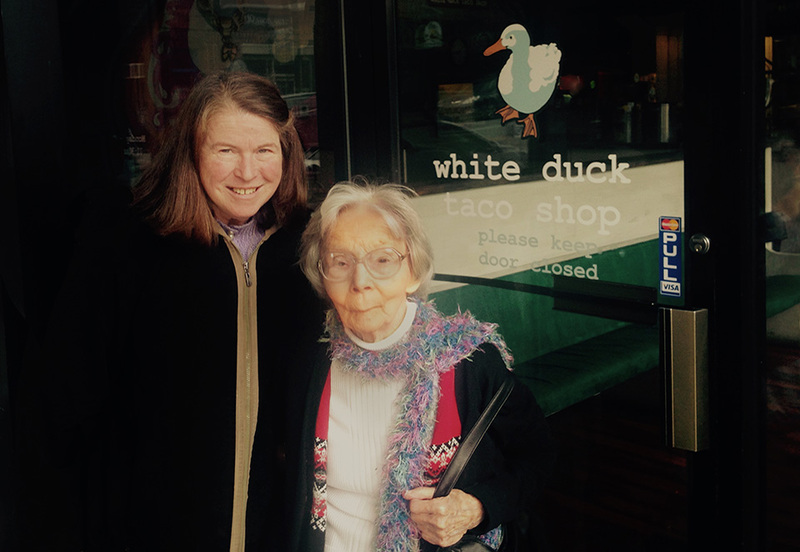 I had the privilege of spending the day in Asheville with Norma in February of 2017. That day was a day I will always remember fondly. 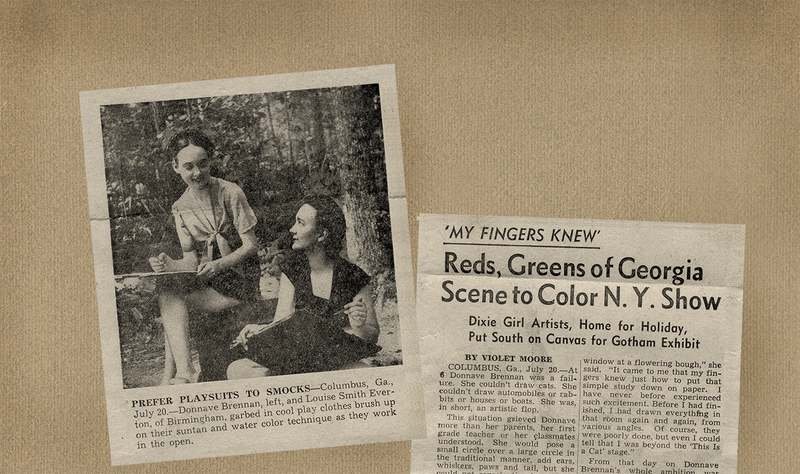 Norma was a gracious southern hostess and still full of life and wonder. My traveling companion for the trip was Kim McRae, the daughter of Norma’s close friend and fellow art colonist Jane McRae. The day of our visit, Kim and I arrived at Norma’s assisted living facility around 9:00 in morning. We started out by asking her to share some of the highlights of her fascinating life. She began by sharing a touching story about her birth in a Birmingham, Alabama hospital on March 4, 1919. She told us the nurses nicknamed her “Fire-Baby.” With a huge smile on her face, she chuckled a bit, then went on to explain that the day she was born, the hospital was bustling with excitement and activity, not over her birth, but the fact that the hospital caught on fire that day. She went on to explain that on that cold March day due to the fire, there was no electricity or heat in the building. She continued by sharing a story her father told her about how on the first day of her life, he unbuttoned his shirt and held her close to his chest to keep her warm and safe. 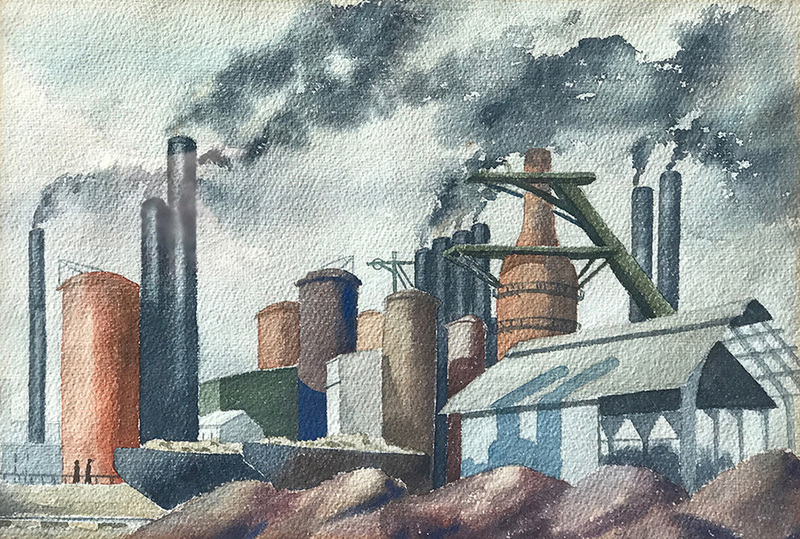 Sloss Furnace, Norma Forbes, watercolor on paper, n.d., 13"x21"
After her stint at Parsons School of Design, Norma decided she didn’t want to work as a fashion designer after all and returned to Birmingham where she went to work for Southern Bell as a draftsmen and later an engineer. (I thought to myself, wow, that must have been very unusual for a woman to hold a job in the early 1940s drawing and designing telephone cable diagrams.) 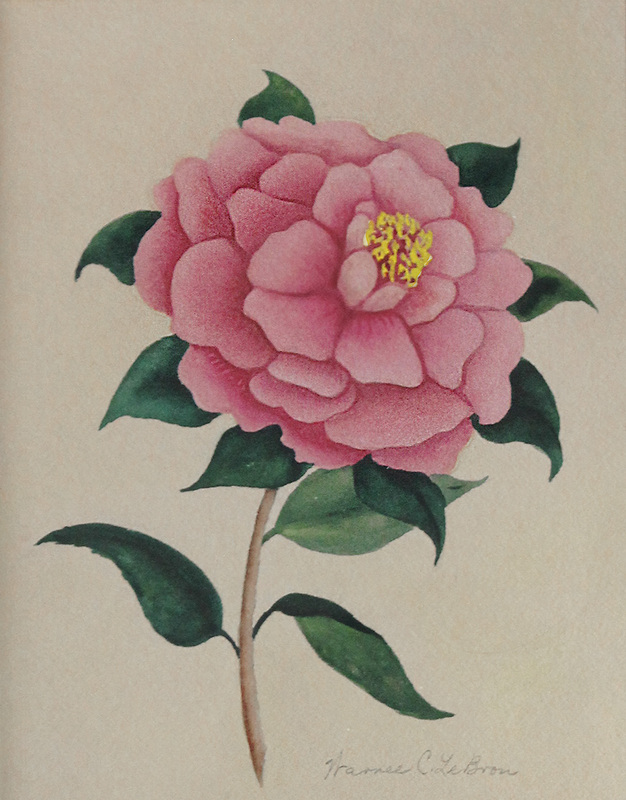 During her years at the telephone company she continued her artistic endeavors by studying drawing and painting with Dixie Art Colony co-founder Kelly Fitzpatrick. 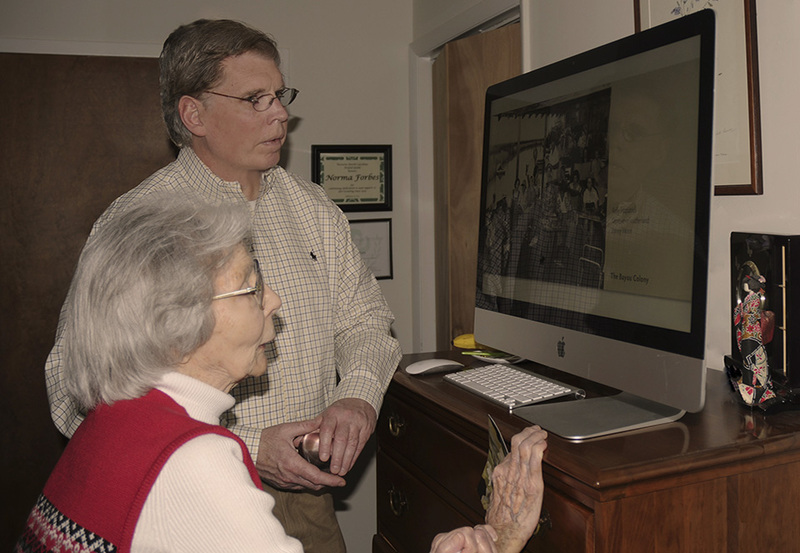 She reminisced about visiting Wetumpka on numerous occasions and had vague memories of visiting the Dixie Art Colony at Nobles Ferry. 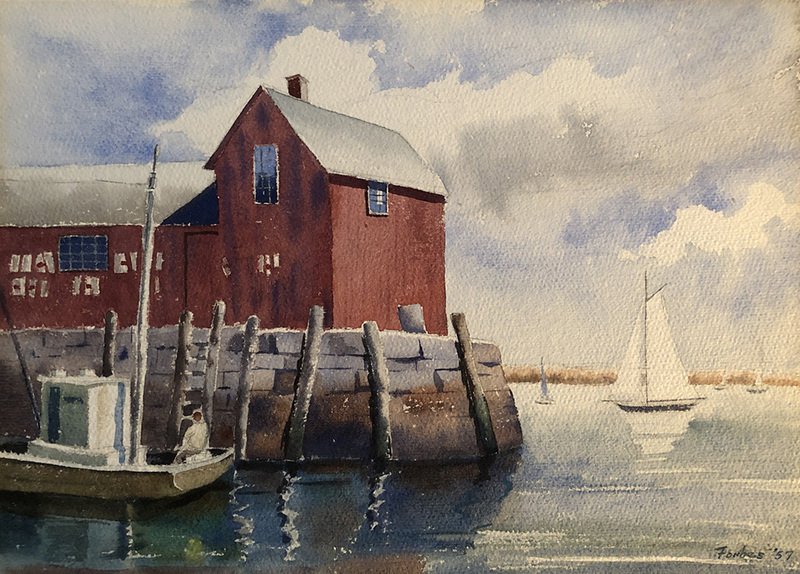 She did not attend any of the formal sessions at the Elmore County colony, however she did participate in some of the formal sessions of the DAC Bayou Painters’ spin-off on Alabama’s gulf coast. After visiting with Norma for around three hours we checked her out of the assisted living facility and took her to downtown Asheville for lunch. We where amazed at how sharp her memory was and how well she could maneuver while only using a walking cane. During lunch we offered to take her to the nearby East Fork Pottery gallery featuring the work of Alex Matisse, the great-grandson of European artist Henri Matisse. She was delighted by the invitation and enjoyed the gallery so much that we then offered to take her to the Folk Art Center located on the Blue Ridge Parkway just outside of Asheville. While at the Folk Art Center, her energy and enthusiasm seemed to outlast ours. Norma continued by explaining Fitzpatrick’s newfound philosophy. “After Kelly returned home he made a vow that from that point forward, he would no longer concern himself with material things and he was only going to do the things loved, which were painting and teaching others.” (Oh…I forgot to mention, she like so many others lamented about how much everyone loved Kelly!) Although I only spent only one day with this amazing lady, I feel certain that Norma’s friends and family are now saying the same thing about her. 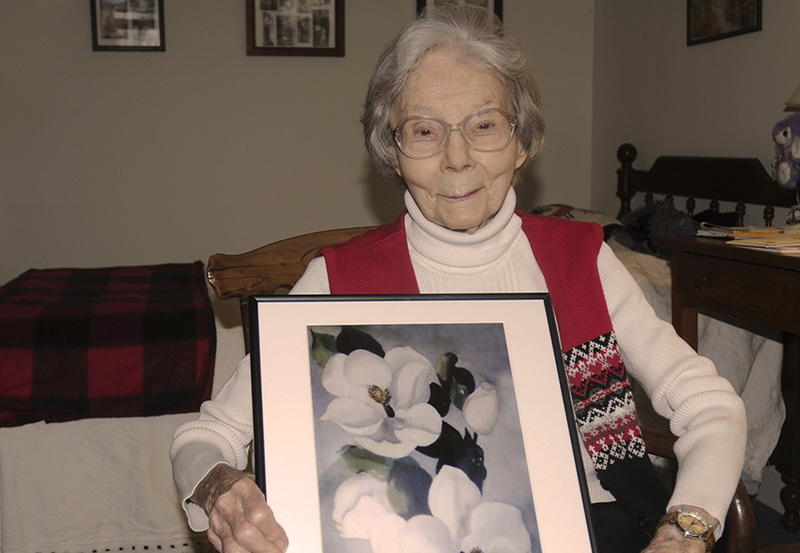 Norma LaMae Forbes will be deeply missed by many, but she will live on in our thoughts and in the archives of the Dixie Art Colony Foundation for generations to come. Anyone having artwork, photographs or other information or stories regarding Norma is encouraged to contact Mark Harris at 334-513-1086 or by email at info@DixieArtColony.org.